Let's save the Pancratium maritimum in the sand dunes in Bulgaria. HomeBeach DestinationsPrimorskoLatest news from PrimorskoProtect the Pancratium maritimum! Primorsko municipality and Primorsko club kindly informs all guests of the resort, that August is the month of the Pancratium maritimum. 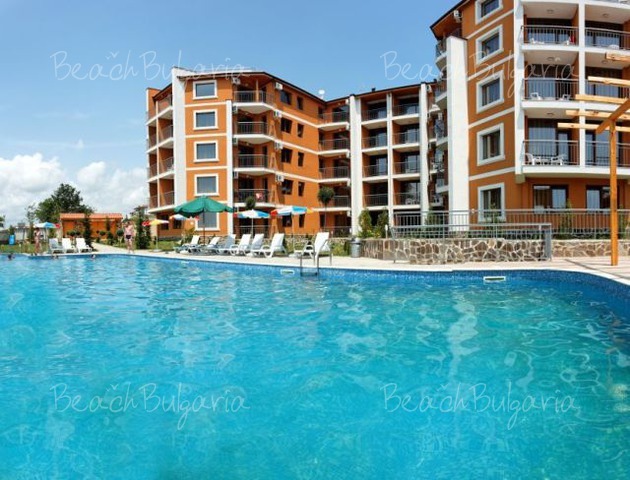 It can only be found along the Black Sea coast (southern – Silistar, Tsarevo, Kiten, between Primorsko and Perla, the mouth of Ropotamo River, Arkoutino, Kavatsite, Irakli). 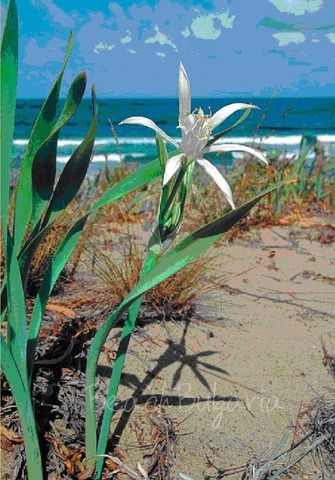 Pancratium maritimum is protected species according to the national Biodiversity Act. Some of the localities fall within Pyasachnata Lilya Managed Nature Reserve and in sites of the European ecological network Natura 2000 in Bulgaria. We kindly ask all guests to protect the plant, when found in the sand dunes. It is forbidden to pick up its flowers or to try to dig out its bulb. Be responsible, protect the Pancratium maritimum! 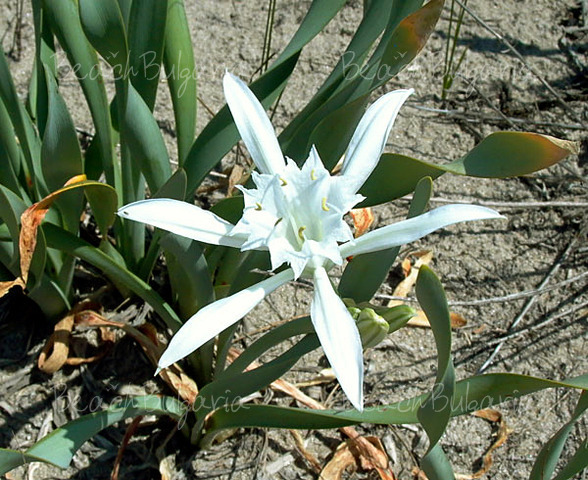 Please, post a comment on Pancratium maritimum.